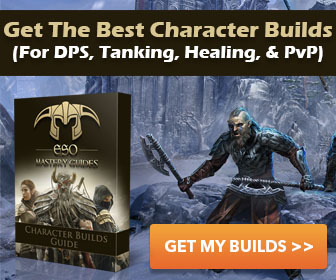 If you are looking for THE BEST BUILD for any class, this ESO Character Builds Guide by ESO Mastery Guides is a definite must have. You will find perfect build for any class and role. Check it out! Skilled Tracker makes all Fighters Guild spells that affect undead and Daedra also affect werewolves. Thus you can use the spell against werewolves with better effect. Any player in ESO can become werewolf and get new abilities. This new skill line is extremely powerful and makes the player stronger. But it’s not fair to let some people dominate others. This will lead to imbalance and the goal of the game will be to become werewolf. Skilled Tracker allows to balance the game. Now your Fighters Guild spells affect werewolves, undead and Daedra with the same strength.